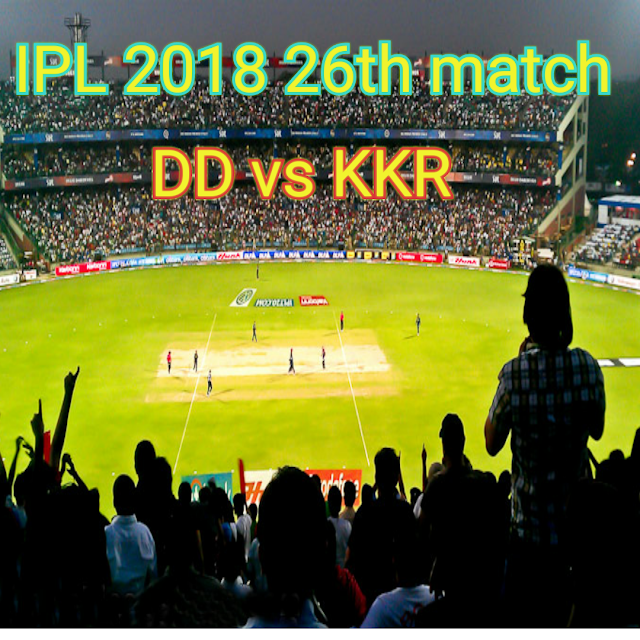 26th match of IPL 2018 being played between DD and KKR in Feroz Sah Kotla Stadium Delhi. Shreyas Ayyar now captain of DD in place of Gautam Gambhir. Shreyas Ayyar scored blasting 93 of 40 in which he smashed 3 4s and 10 6s.